Jatha ingurated by the District Judge M.V. Jadar and Mrs. Shobha Civil Judge and Dr. V. Parvathy were Chief Guest . Students (RRC Members) of Govt P.U College, ANM Traning Centre and MET Nursing school, Madikeri, Members of ODP, NGO’s participate. Jatha programme concluded at town hall, Madikeri. 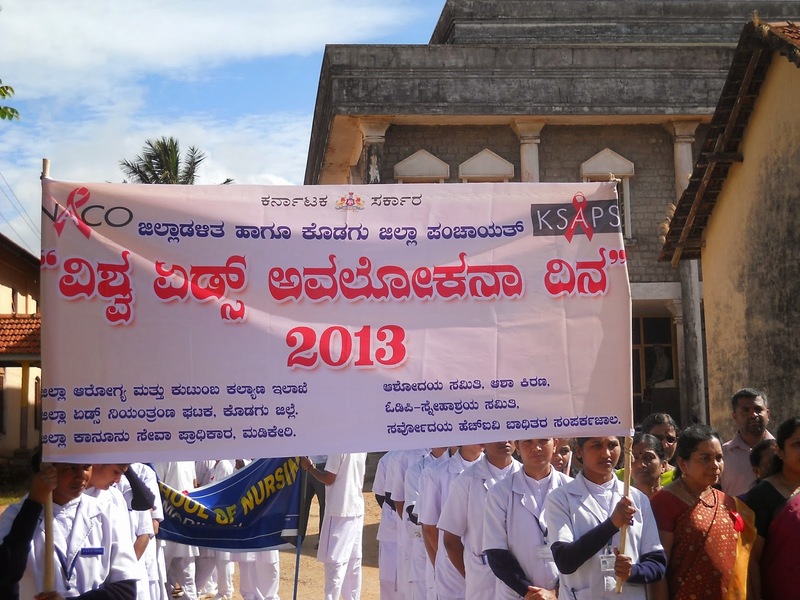 The programme inaguarated by Mr. Usha Devamma – Vice president, Jilla Panchayath, Kodagu. 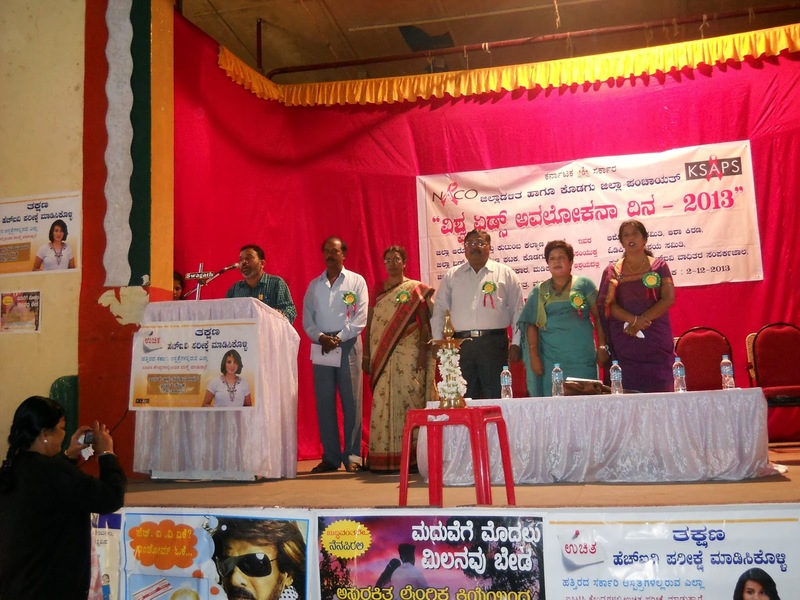 Mrs. Shrividhya – CEO- Jilla Panchayath, Kodagu was the chief guest of the programme. 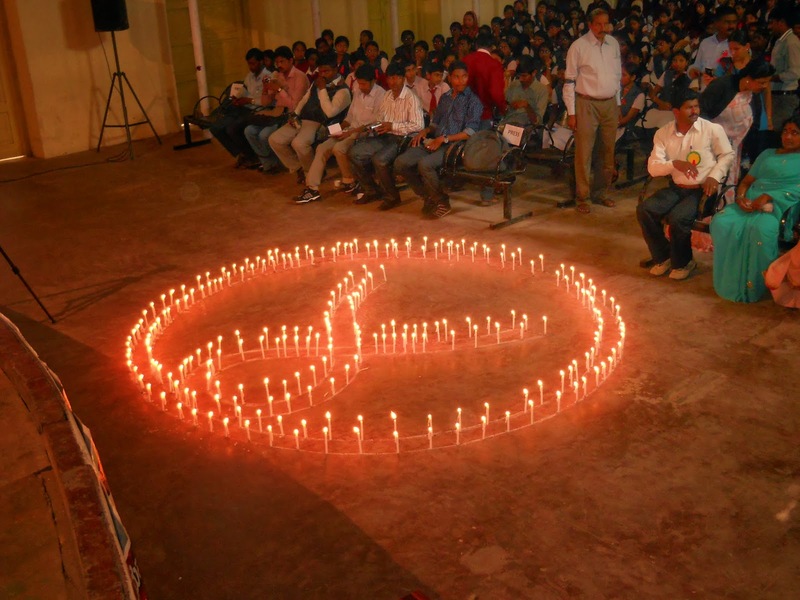 Experience shared by the president – Sarvodhaya Network for people living with HIV- AIDS. Oath taken by all the participants by lighting the candle in the form of Red Ribbon Club. 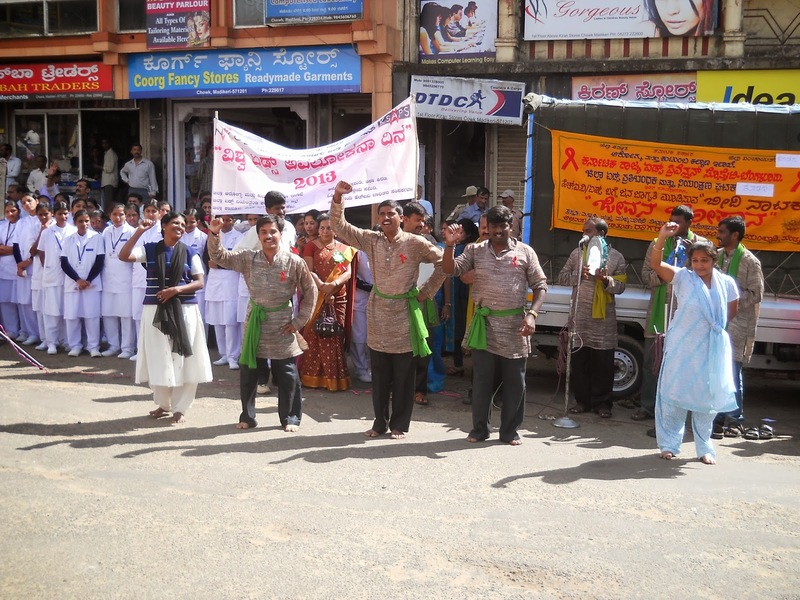 On behalf of World AIDS Day-13 Radio programme on HIV/AIDS in Local channel has been done.